The iconic Indian rice, the long-grained and aromatic Basmati, is taking a hammering in the international market since the European Union (EU) slapped new import restrictions—slashing the level of a commonly used fungicide to a hundredth of its earlier permissible extent. Thenceforth, Saudi Arabia has also asked Indian exporters to cut the fungicide, Tricyclazole, which is said to be carcinogenic. India produces more than 60 per cent of the world’s Basmati, while the West Asian kingdom is the largest importer, accounting for nearly 70 per cent of India’s US $2 million annual exports. The hardest hit from the clampdown are farmers in Punjab and Haryana, who have been using the fungicide for decades to protect their produce from the ‘rice blast disease’. The EU order in June last year said the level of Tricyclazole must be cut from 1.0 mg per kg to 0.01 mg. India told the EU that the fungicide can be phased out gradually over three years, but the case didn’t hold. According to sources in the Basmati Exporters’ Association, at least 100 containers were sent back by Norway, Sweden, England and Finland since January, leading to huge losses. They say each rejected container involves a cost of Rs 15 lakh to the exporters when they return to Indian ports. Basmati is the first victim. Several EU countries had banned Indian Alphonso mangoes after some consignments were found infested with fruit flies that they feared could damage European salad crops. The ban has since been lifted. The Saudi Food and Drug Administration (SFDA) have rejected shipments of Basmati after they tested positive for residues of the fungicide. The sources say the SFDA has also set fungicide levels as per EU standards. Vijay Setia, president of the Basmati Exporters’ Association sounds the alarm and says the Punjab and Haryana governments and the Centre needs to act fast to regulate the use of fungicide. “The excessive use of fungicide should stop,” he adds, warning that if exports are impacted much longer, Punjab is going to be the biggest loser. 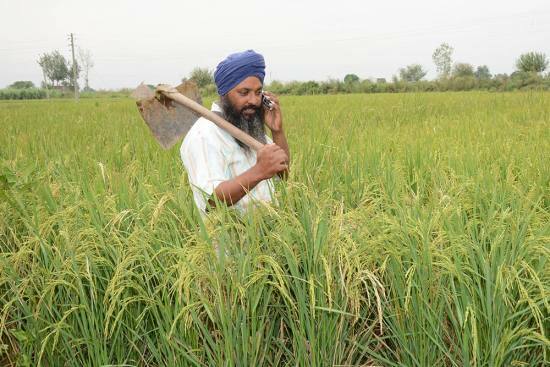 Last year, farmers in Punjab earned anything between Rs 3,000 to 3,200 per quintal of their Basmati produce. The association says 2.5 lakh tonnes of the rice were purchased from the state last year and another 25,000 kg from Jammu and Kashmir, which is emerging as a Basmati producer. The association is willing to get samples tested from the fields and if no traces of fungicide are found, the farmer will be paid 10-15% more than prevailing rates. “No doubt, the variety ‘1121’ of Punjab Basmati is loved worldwide but, being very health conscious and having strict norms, European and West Asian countries check every consignment,” says a director with the exporters’ association. To counter the use of fungicide, the association has started a campaign among Basmati growers in five districts of Punjab—Amritsar, Tarn Taran, Gurdaspur, Fer-ozpur and Pathankot. The association has also approached the Agricultural and Processed Food Products Exports Development Authority (APEDA) and the department of chemicals under the Union ministry of chemicals and fertilisers to take up the matter with Saudi Arabia to ensure there is no disruption in exports. The association has also approached the Indian ambassador in Riyadh to request the SFDA to defer implementation of the new norms, until a mutually agreeable solution is reached. But an exporter warns that “if things do not change, exports would end, ruining the industry...and farmers will bear the brunt”. Punjab’s agriculture department is recruiting volunteers to reach out to farmers about the negative impact of pesticides. With the Basmati sowing season halfway through, agriculture secretary KS Pannu says farmers have been suggested alternatives that are considered less harmful. “We will conduct tests at the time of purchase, and the Basmati testing negative for chemicals will fetch up to Rs 500 a quintal more than the prevailing price. The exporters have promised that,” Pannu adds. A delegation of exporters was in China recently to book orders for Basmati because China, though a largely rice-eating country, doesn’t produce much of the premium grain. “But then fungicide as an issue will remain. We have to correct out system of growing rice,” says an exporter, adding that orders and other logistics with China are being worked out.